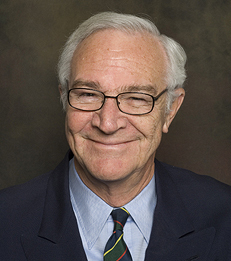 Roy C. Smith has been on the faculty of the New York University Leonard N. Stern School of Business since September 1987. He is the Emeritus Professor of Management Practice and was the Kenneth Langone Professor of Entrepreneurship and Finance for 18 years. Prior to assuming this appointment he was a General Partner of Goldman, Sachs & Co., which he joined in 1966, specializing in international investment banking and corporate finance. Upon his retirement from the firm to join the faculty, he was the senior international partner. During his career at Goldman Sachs he served as President of Goldman Sachs International Corp. while resident in the firm's London office in the 1980s. Professor Smith received his B.S. degree from the U.S. Naval Academy in 1960, and his M.B.A. degree from Harvard University in 1966. Professor Smith's principal areas of research include international banking and finance, all forms of entrepreneurial finance and institutional investment practice, professional conduct and business ethics. He is a frequent guest lecturer at other business schools in the U.S. and in Europe. In addition to various articles in professional journals and op-ed pieces, he is the author of The Global Bankers, E.P. Dutton, 1989, The Money Wars, E.P. Dutton, 1990, Comeback: The Restoration of American Banking Power in the New World Economy, Harvard Business School Press, 1993, The Wealth Creators, St. Martin's Press, 2001, and Adam Smith and the Origins of American Enterprise, 2002, and Paper Fortunes - The Modern Wall Street, 2010. He is also co-author with Ingo Walter of several books including Street Smarts, Harvard Business School Press, 1997, High Finance in the Euro Zone, FT-Prentice Hall, 2000, Global Banking, Oxford University Press, 2003, and Governing the Modern Corporation, Oxford University Press, 2006. Professor Smith was a Limited Partner of Goldman, Sachs & Co. until its public offering in May 1999. He has been a director of public and privately-held corporations in the US and in the UK, and was a founding partner of a London-based, financial services consulting company. Have Business Schools Ruined Capitalism?